Avon have released a new collection of nail polishes with a gel-like, intense high-shine finish that come in 24 shades. 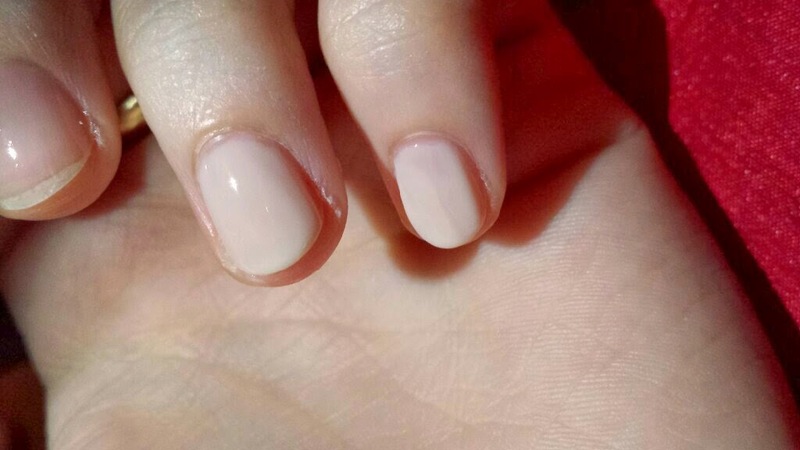 It claims to be a base coat, colour and top coat all in one. My sister recently received an Avon catalogue from her friend and, let’s admit it, you can’t NOT pick it up and have a flick through. Anyway, I have far too many nail polishes (it’s one of my vices) but I couldn’t resist a new release and when I saw the new gel finish nail enamel I wanted to buy one. I grabbed a bottle in Creme Brûlée to test it out. With flash. Colour looks slightly pinker than first picture. 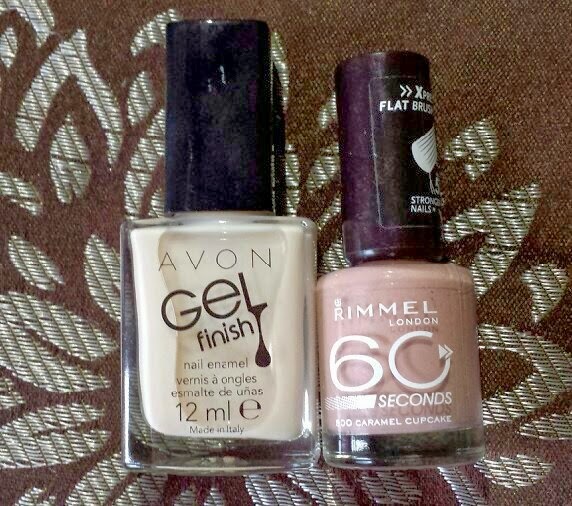 I have tried Avon polishes before and I’ve always found them to be okay. I’ve always preferred my trusty O.P.I’s though. Creme Brûlée is a pale, natural beige. It’s not quite white, not quite pale yellow, not quite pale pink. I honestly don’t own a shade like it! To explain this in much more detail, I’m going to show you some comparison swatches in a moment with a range of nail polishes. Firstly though, I’m going to talk about the formula and application. I decided to test the application over two nails (saving the others for comparison polishes), one with base coat and one without to test out the ‘3-in-1’ claim. The application actually exceeded expectations on both nails! The formula is so smooth and easy to apply. It simply glided over my nails! I was incredibly impressed by how well this polish applied. Honestly, it applied like a much more expensive polish! The brush isn't thick, but not too thin either. It reminds me of Barry M or Nails Inc brushes. As you can see it is super sheer! Because of the sheer application, I can imagine that this would look good as a glitter-gel sandwich manicure. I think I'll give it a go and post it up sometime soon. My next test was drying time. 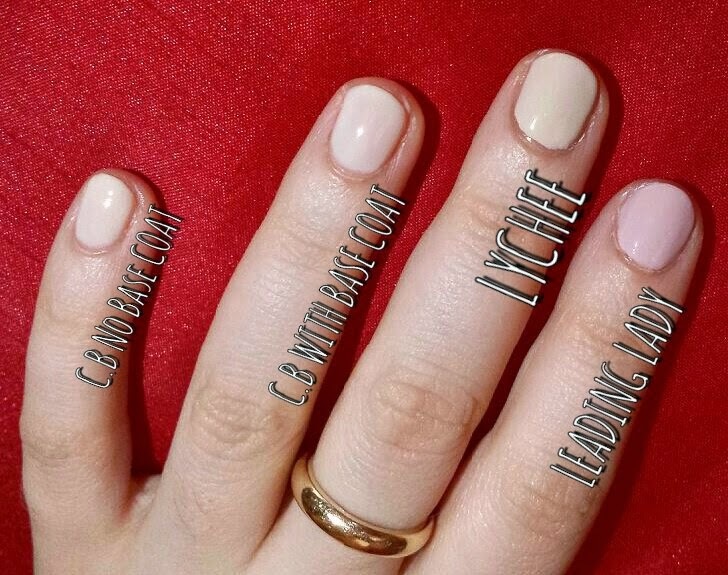 I like a top coat to be a fast drying one (why else would I decide to write a blog aimed at busy mums and generally busy women!? I need things to be done quickly! ), so the claim that this is also a top coat means that drying time is a necessary test! It wasn’t as fast as I am used too with my Seche Vite, but it was faster than the normal waiting time of some other polishes. Granted I’m talking about reaching the slightly ‘tacky’ stage. So drying time overall = average. I’ve aimed to compare it to other products within the same price range. I bought this for £3.50 but it says that the price will normally be £7. The cheapest polishes out of the selection here are the two Sinful Colors priced at £1.99. The most expensive is Leighton Denny - Leading Lady which is priced at £11, so £4 over the normal price. 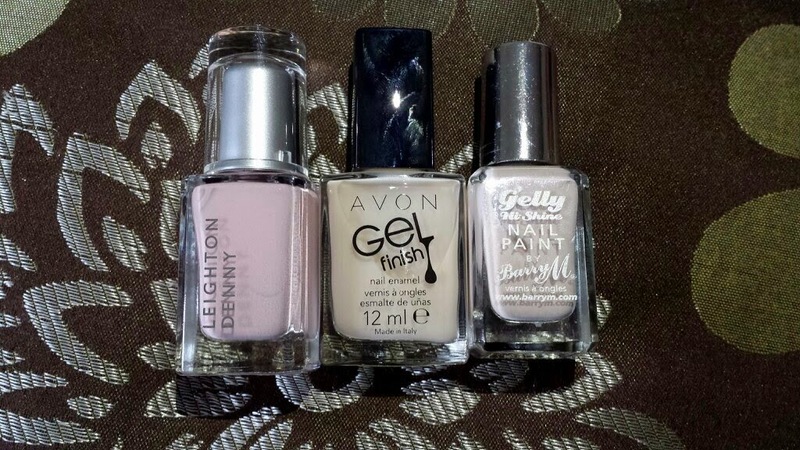 I chose the Leighton Denny as ‘in the price range’ for the normal price of the Avon polish (£7) rather than the price I bought it as a upper-end price scale comparison, but the others are all around the £3.50 mark. After looking at the bottles next to each other, I decided to choose three to compare to Creme Brûlée on my nails. 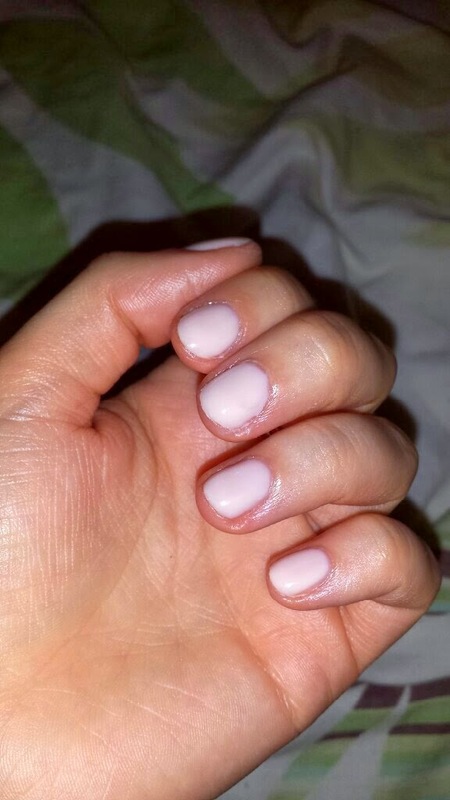 I chose Barry M - Gelly Hi-Shine in Lychee as the main comparison/competitor. This was an obvious choice as they both claim to have a gel-like, high-shine finish and they are very similar colour wise. 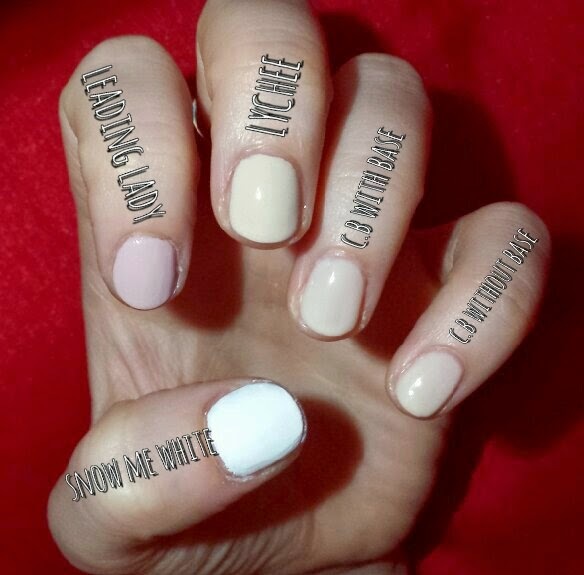 The other two I chose were Leighton Denny - Leading Lady and Sinful Colors - Snow Me White. I chose these because Leading Lady is just a touch darker and could show the difference between a darker colour and Creme Brûlée and I chose Snow White for the exact opposite reason. White is the lightest shade so comparing it to this colour shows you how far off-white it is. 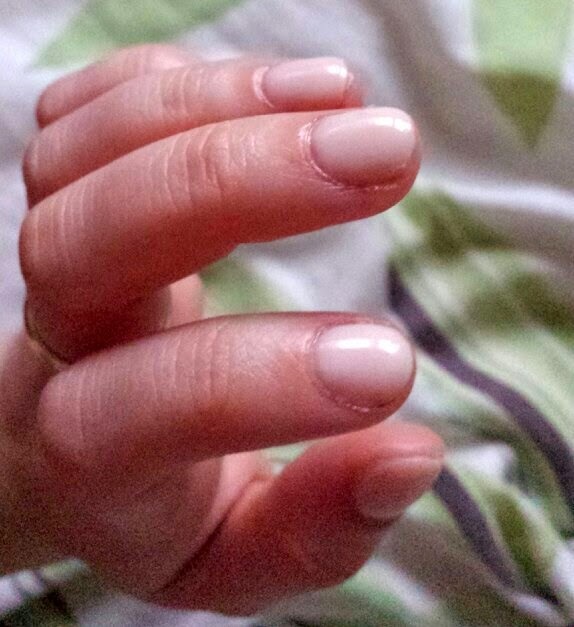 As you can see, the closest is definitely Barry M - Gelly Hi-Shine in Lychee. However, even with the similarities there are some noticeable differences, mostly upon application. Firstly, Lychee is much more pigmented than Creme Brûlée. 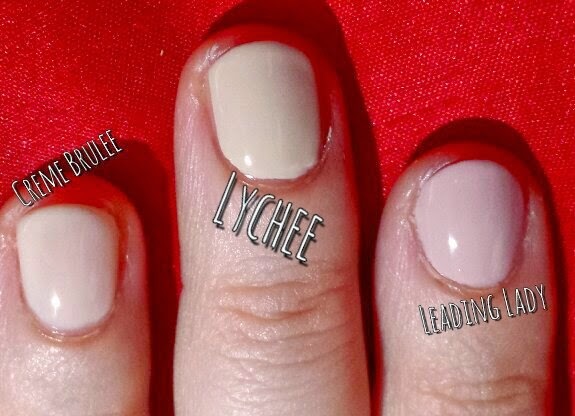 With Lychee you can achieve a fully opaque colouring with just two coats. Creme Brûlée takes three coats and for some could potentially take four. In that case, Lychee is much faster to apply. Creme Brûlée has more of a gel-like finish. It looks much more ‘squishy’ upon drying and it looks a lot softer around the edges. 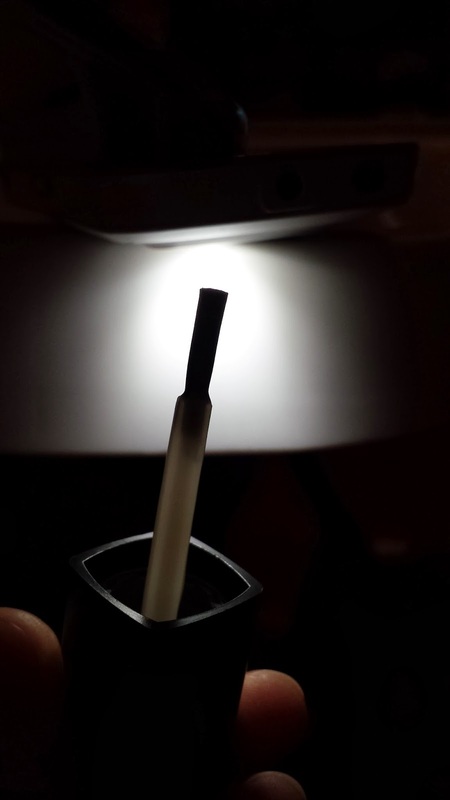 It was also a lot easier to apply to the nail which I think is probably down to the thickness of it. It is slightly thinner than Lychee, but I actually prefer that. Drying time I would say that Creme Brûlée dried faster than Lychee. However, I am still excruciatingly impatient and applied my Seche Vite, rendering this issue as null and void. 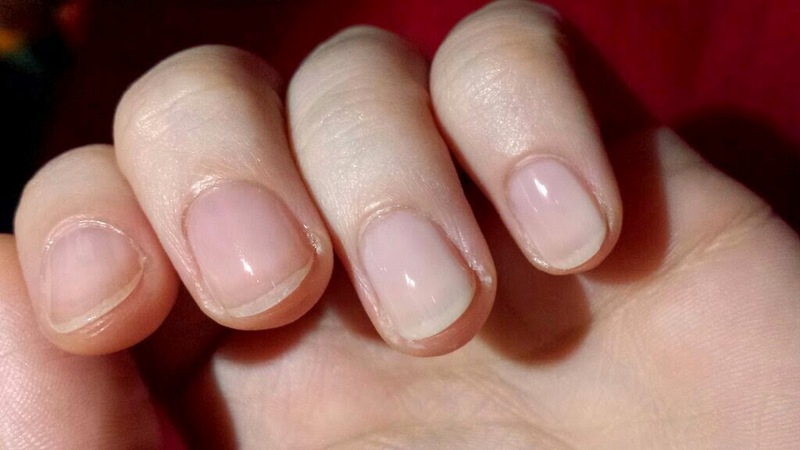 The drying time with Seche Vite is the same with both. Price wise, Barry M - Lychee is cheaper at £3.99 when compared to the ‘original price’ of Avon’s Creme Brûlée at £7. If we are talking in sale price terms, then Creme Brûlée is cheaper at £3.50. To be honest, it’s pretty difficult to choose between the two. They both have their pros and cons. 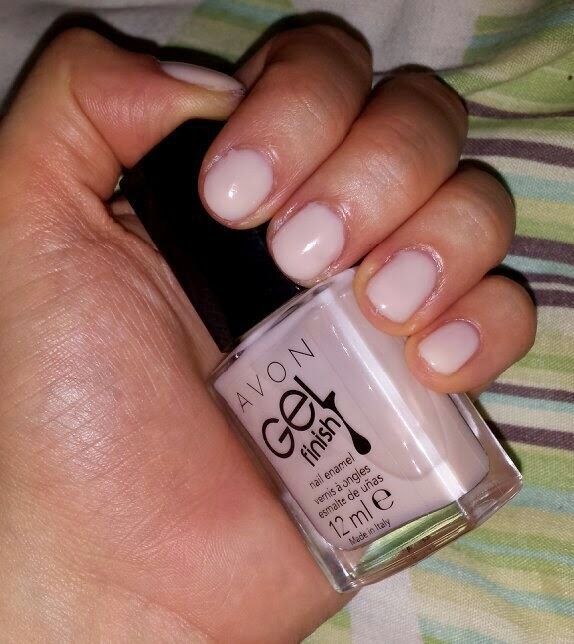 Busy women may prefer Lychee purely for the fact that it is opaque in two coats rather than three or four, but women who want a better gel-like finish will probably prefer Avon’s Creme Brûlée. Of course, the application, formula and pigmentation of others in the range may be different, so I shall try to get my hands on some more of both brands to show you guys some better comparisons in the future. This polish is a huge surprise! My expectations were too low, and for this I sincerely apologise. The application and finish of this polish were beautiful. I’m 100% going to be buying some more from this range in the hope that they are as good as this one. Not only that, but the colour is gorgeous for spring! 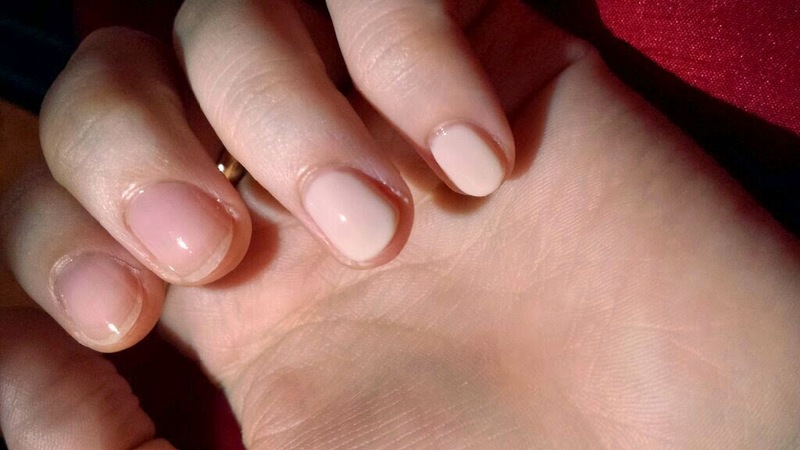 I love natural coloured nails and this is a stunning shade that looks amazing on light skin tones. I will get a swatch soon on a slightly darker skin tone (my sister, who has already okay’d it!) for comparisons! I highly recommend that you grab one of these whilst they are at £3.50! You won’t regret it!